As much as we love to simmer a hearty pasta sauce over several hours, it is often hard to find the time. 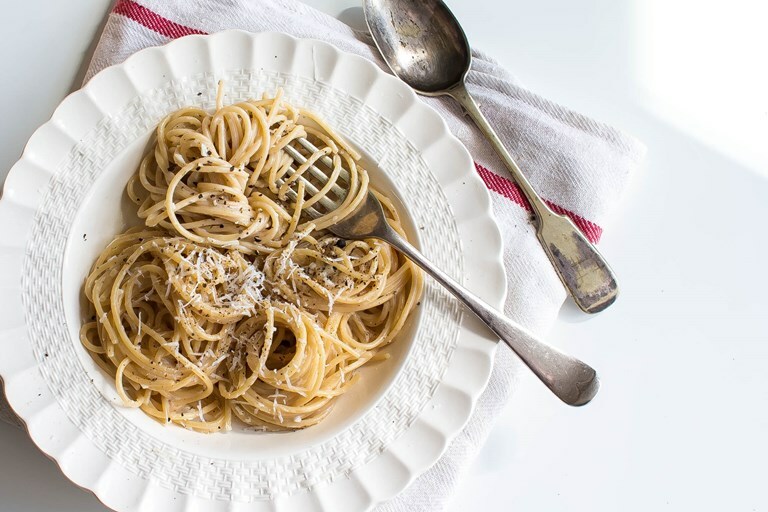 However, with just a few simple techniques you can transform cheese, black pepper and water into a classic Roman pasta dish. Avoid overcooked pasta or lumpy cheese with Rosana’s foolproof recipe. Together with Spaghetti alla carbonara, this simple cheese and pepper pasta is one of the most famous Roman dishes. Although Cacio e peppe is a very simple recipe, its simplicity means that it easy to do wrong. 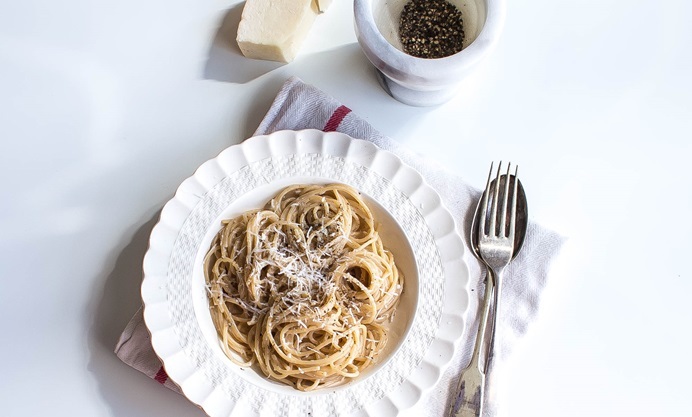 There are only three ingredients: pasta, black pepper, and pecorino Romano. It is believed that the dish was originally eaten by the poor Roman shepherds who only carried food that was both easy to cook and likely to keep for an extended period of time. When making this dish it is important that the cheese is neither too young nor too old. Too young and the sauce might get lumpy, too old and it will become runny. It is also important to never, and I mean never, place the pasta back on the heat after adding the cheese and pepper. This will result in a mix of overcooked pasta and lumps of cheese. The delicate creamy sauce is the result of an emulsion between the cheese, pepper, and water, and its contact with the hot pasta. Simplicity at it's very best. Enjoy!